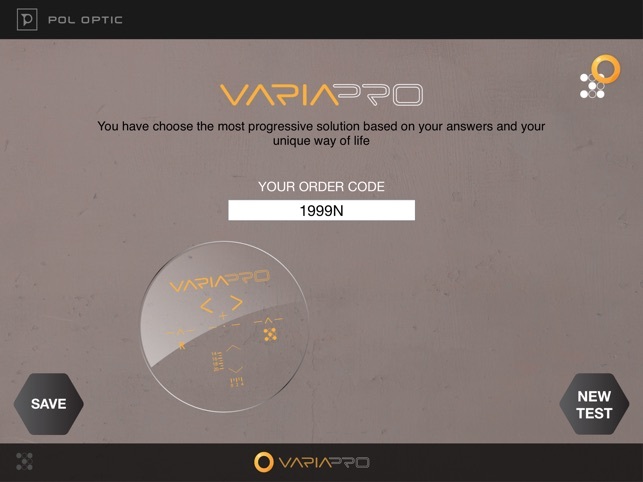 Do you want the most modern solution for a clear vision at all distances? 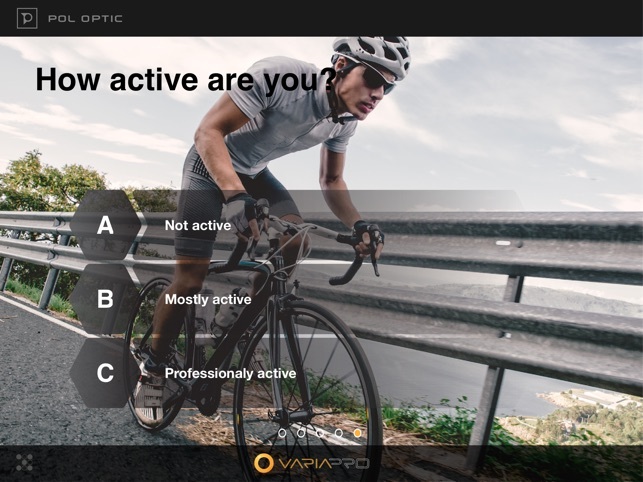 The latest solution of progressive prescription lenses VariaPro allows each individual to enjoy in the clean and clear view in relation to their unique lifestyle. 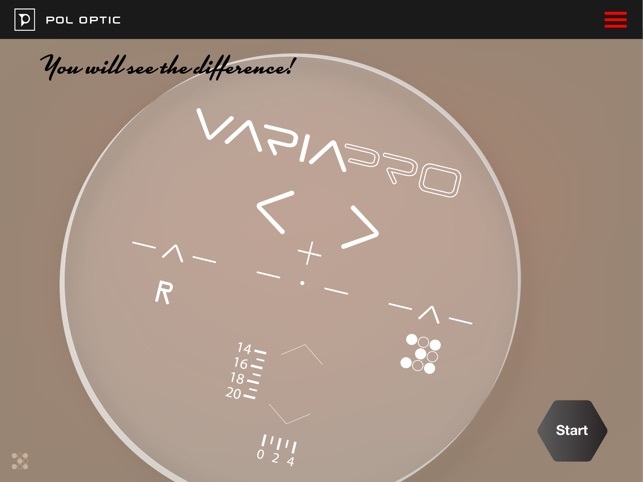 Varia Pro app is questionnaire form which calculates the most appropriate design of progressive corective lens. 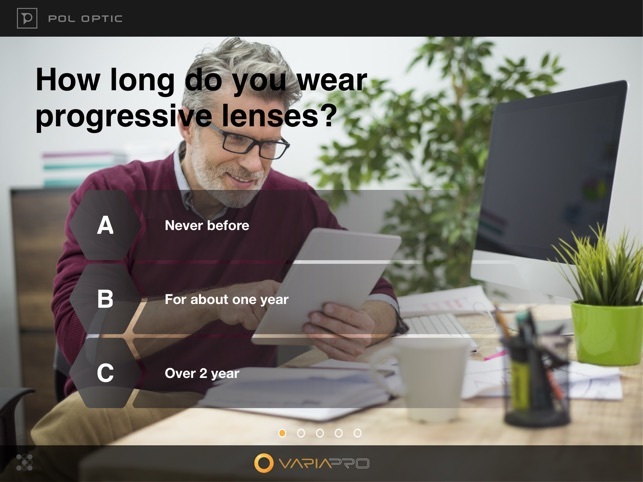 This application gives to Eye Care Professional a possibility to choose together with the client the ideal design of progressive lens which carries a unique "code"! It ’s required to send this unique code to the production in order to make the progressive lens with the widest viewing zones. The information provided on this application is intended for your general knowledge only and is not a substitute for professional medical advice or treatment for specific medical conditions. You should not use this information to diagnose or treat a health problem or disease without consulting with a qualified healthcare provider. Please consult your healthcare provider with any questions or concerns you may have regarding your condition.